I have been using Google adWords for some time to get more traffic for How to Open a Successful Pawnshop, a site for a book I edited for one of my clients. Google adWords is easy to use, and was working just fine. Rather than leave well-enough alone, I followed a suggestion that I use the combined Microsoft/Yahoo adCenter site, which functions much the same as Google adWords. Not wanting to miss out on what might be a significant part of the Internet universe, I set up a Microsoft/Yahoo adCenter account. It was easy, as the site worked very much like the Google adWords site. However, the Microsoft/Yahoo adCenter site was not so well designed or as easy to operate as Google adWords. Since Microsoft/Yahoo adCenter had copied a large part of the Google adWords format, why didn’t they copy it all? I guess they wanted to show they were different. The differences between Microsoft/Yahoo and Google became more apparent as I set up the account. Where I had been paying about $0.31 a click for adWords, adCenter suggested an incredible $26.00 for one of its keywords. Where I was getting thousands of impressions for my ads on Google, I was only getting about 25 impressions a day on adCenter. That was bad—but worse was still to come. Yesterday, I was unable to get into adCenter. The Microsoft/Yahoo site timed out on every browser I tried. This morning, it was just as bad. I decided to turn to Microsoft Help which has an online chat function. According to Curtis, the friendly Microsoft online chat guy, the problem was “updates” to the Microsoft/Yahoo website—updates which would not be completed until 11:59 PM PST, Friday March 25th. This was more than a day away! Sorry, but “updates” do not take that long—something was wrong with the Microsoft/Yahoo site. I know, I used to run Citibank’s Asia Pacific Datacenter in Singapore. We ran ATM machines, credit card terminals, and bank teller stations all over the world and could not afford to be down. 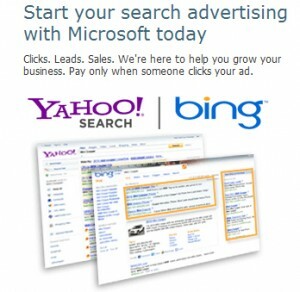 The easy (and perhaps only) solution which I shall follow is never to use Microsoft/Yahoo adCenter. For your further enjoyment, below is the complete text of my online chat with Microsoft’s faithful employee, Curtis. Welcome to Microsoft Advertising, an Ad Specialist will be with you shortly. You are now chatting with Curtis. Curtis: Good Afternoon! My name is Curtis. How may I help you today? John: Curtis: Your service has become so slow that it always times out – how can I cancel, as I have no idea how or if my money is being spent? Curtis: John at this time, our user interface is experiencing some technical difficulties as a routine update is being processed. This has been reported to our Development team, and they are working diligently to resolve the matter. It appears to be intermittent so you may be able to access your Account at some point this afternoon. If you need to make changes, I would suggest trying at varying times of the day. John: Can’t risk the expense. Can you cancel my account? Curtis: I would be happy to take a look at that for you. In order to best assist you, can I please get your adCenter account number or username? Curtis: Is that the username John? Curtis: Thank you. So that I can verify your account for security purposes, may I have the email address and phone number on record in the account please? Curtis: Lastly would you be able to provide me with the last four digits of the credit card on record for this account? Curtis: John be aware that this is only temporary due to the updates and is expected to be resolved by 11:59 PM PST, Friday March 25th. Curtis: Currently I am just checking if I am able to access the account now. John: Unbelievable that Microsoft cannot run a datacenter properly – I ran Citibank’s Asia Pacific datacenters in Singapore – you should move to Singapore where you can get good people. Curtis: I apologize for frustration and inconvenience. John: Is the account canceled? Am I going to owe any money for NOTHING? John: Could you even access the account? Curtis: I managed to get in and paused the Campaign for you. Curtis: There were only 7 impressions as of today, and no charges listed. Curtis: You will not receive any traffic within this account unless you resume the Campaign John. Curtis: Correct. Again I do apologize for the inconvenience this has and would be more than will to work with you once the updates are done if you wanted to continue your services with Microsoft adCenter. Curtis: You’re welcome. Is there anything else that I can assist you with today? John: No thanks – assist Microsoft – they need it. Curtis: In closing, I would like to thank you for working with Microsoft Advertising. At Microsoft our goal is to provide you with an exceptional customer experience. You may receive our Customer Service Survey, please take a moment to comment on your experience today. Once again, thank you for choosing Microsoft Advertising.